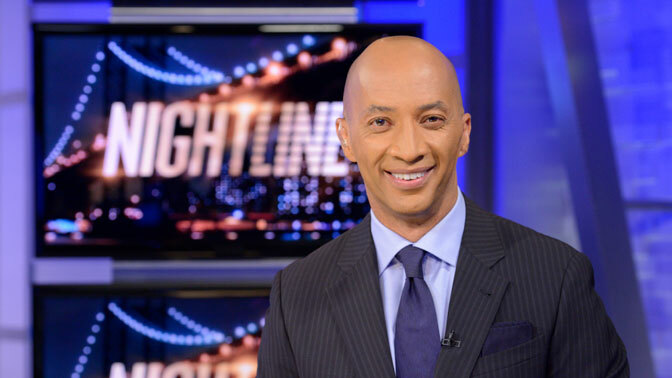 ABC News “Nightline” co-anchor Byron Pitts will speak about his professional and personal journey in a talk hosted by Columbus State President David Harrison. Pitts, author of the memoir “Step Out on Nothing: How Faith and Family Helped Me Conquer Life’s Challenges,” is a multiple Emmy award-winning journalist with more than 20 years of experience. He has co-anchored “Nightline” since 2014. Pitts overcame functional illiteracy and a debilitating stutter to become a successful journalist. He has covered national news stories and in-depth features across ABC News programming during his time with the network. Prior to joining ABC News, Pitts spent 15 years at CBS News where he served as Chief National Correspondent for The CBS Evening News, filed reports regularly for 60 Minutes, and won an Emmy for his coverage of the 9/11 terrorist attacks. He was named Journalist of the Year by the National Association of Black Journalists in 2002. Pitts began his television career at WNCT-TV in Greenville, N.C. He graduated from Ohio Wesleyan University in 1982, where he studied journalism and speech communication. Pitts is a native of Baltimore and currently lives in New York City. The event will be held at 3 p.m., December 7 in Nestor Hall Auditorium, 488 Mt. Vernon Ave., Columbus. Tickets are free with registration, available at www.cscc.edu/byronpitts.